The biannual Power Morphicon has come and gone but we’re still sharing images from the event! There were so many things to take pictures of and so little time to do it that we’re still catching up! Hasbro pulled out all the stops in their first-ever Power Morphicon by cracking open the vaults and showing off some Legendary Rangers goodness in a number of costumes and props from the last 25 years. We have taken high resolution photos of every single costume on display at the show. To check out all the delicious pictures, click the title of the story! Power Morphicon will return to Anaheim, California in 2020. We’ll see you there! Street Fighter is having one heck of a 30th anniversary while Power Rangers enjoys it’s 25th. After the hugely celebrated Street Fighter update for the Power Rangers Legacy Wars mobile game, this latest news makes perfect sense. Produced by Bat In The Sun, known for their incredible Super Power Beat Down videos, we have the announcement of a Legacy Wars Live Action Web Series featuring both Power Rangers & Street Fighter! We wont spoil the content of the teaser trailer on the front page, though you can watch it below. But suffice it to say, this is a ground breaking project for both franchises and opens the door for some very powerful possibilities. 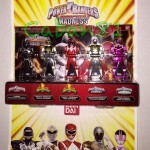 Morphin Madness Prize Ranger Keys Revealed! Congratulations to @CABAN81 and the other 4 winners of Morphin Madness! Discuss on the Tokunation Forums› Views: 4683 › Credit: @CABAN81 on Twitter! 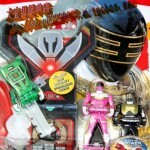 Additional Ranger Key Packs Revealed! This news was first reported yesterday with the discovery of the Turbo & Lost Galaxy B pack images. These new images have come to light thanks to the sleuthing of regular fandom contributor @PockyBandit on twitter! It appears that several of these new packs have already been sold by this particular Taobao seller as well, it could be only a matter of days before someone in the fandom has them in hand to share hi-res images! 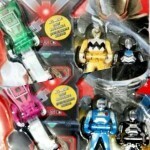 Lost Galaxy B & Turbo B Ranger Key Packs Revealed? This image comes via twitter user @The_NerdAlert, though it appears the it’s also making the rounds on Facebook right now. 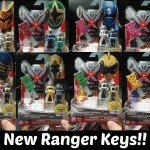 If real this is big news for Ranger Key collectors as that checks two more elusive female keys off the list all the while giving us 3 extra rangers/heroes too! Phantom Ranger, Blue Senturion, and Magna Defender were all highly demanded keys and it looks like they may actually see the light of day. As more information becomes available on this sighting we’ll be sure to keep you posted. The original trio of the Talkin Toku Podcast are back together for the first time in a month! Join Kickback (Chris, @rankal), Den-O (Jordan, @DenO_Tokunation), and Sentai Tamashii (Tom, @SoulInkChu)) in their latest adventure of discussing all things tokusatsu! The last time the group was together was before events like NJCC and LexCon, and now that they’re together, they spend some time remembering the conventions. Listen to Tom’s story of how he missed purchasing a holy grail for his collection by a matter of minutes! Find out what Steve Cardenas (Rocky, Mighty Morphin Red Power Ranger #2, Zeo Blue Power Ranger) did to troll Jordan at LexCon! Gears shift as the crew then discusses the recent developments on Kamen Rider Gaim. What was everyone’s most “OMG” moment when watching the show? What are their thoughts on DJ Sagura? The trainbow is tasted once more as Tom and Jordan discuss the Shadow Line extensively with Ressha Sentai ToQGer and Jordan makes a bold prediction for just who ToQ #6 will end up being! Finally, Chris gushes over the episode “Spirit of the Tiger” from Power Rangers Super Megaforce. 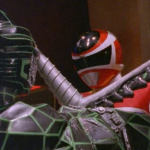 But, as with anything Power Rangers related, someone ends up hogging the spotlight as the crew discusses, for the last time in a public format, the entire debacle that was Morphin Madness Round 3. For those who were caught up heavily in Morphin Madness, this is your chance to get the scoop behind the controversial Twitter campaign with the hash tag #NoMoreTommy from the creator of that movement himself – Jordan. What was the real purpose behind it? Was there any spite attached to it, and if so, why? Jordan reveals all this episode. Check out the episode details below and take a listen for yourself! 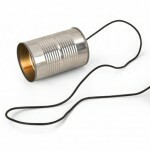 IMPORTANT NOTE: Unfortunately, we had some technical difficulties with the audio on this podcast. The problem has been identified and will be corrected going forward, but sadly the original source for the audio is lost forever, meaning the only way you can hear this episode is through the current quality. After spending a few days trying to fix the audio from the source material, the decision was made by all three hosts to release the episode because, honestly, we thought it was a pretty damn good episode. We do apologize for the lackluster quality of the audio and hope you will still give the episode a listen. Again, future episodes will not have this problem.